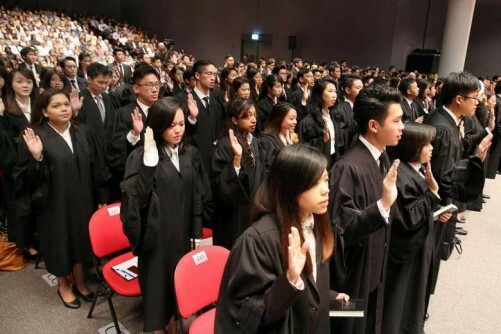 A new committee has been set up to review the system by which new lawyers start their careers, in a bid to tackle the oversupply of lawyers here. The Committee for the Professional Training of Lawyers will be led by Justice Quentin Loh, together with Judicial Commissioners Aedit Abdullah and Kannan Ramesh. Its task is to do a "root and branch" review of how undergraduates are offered training contracts by local law firms, as well as how they are assessed to be suitable for retention and employment. 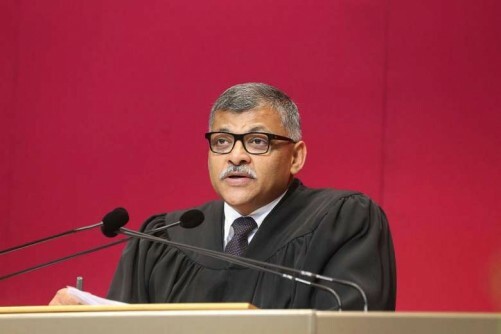 Chief Justice Sundaresh Menon announced the formation of the panel on Friday during this year's Mass Call, a proceeding that formally admits lawyers to the Bar. 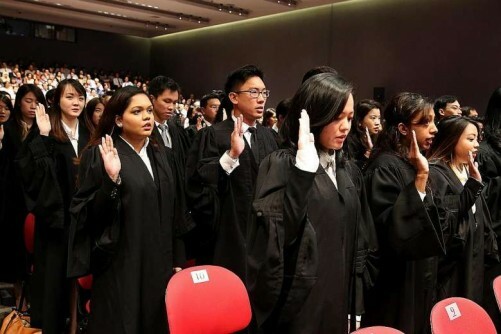 A total of 509 new lawyers were called to the Bar over three sessions at the Supreme Court auditorium on Friday and yesterday. Though this number is a slight drop from last year's record admission of 535, it still represents an increase of almost 200 per cent from five years ago. 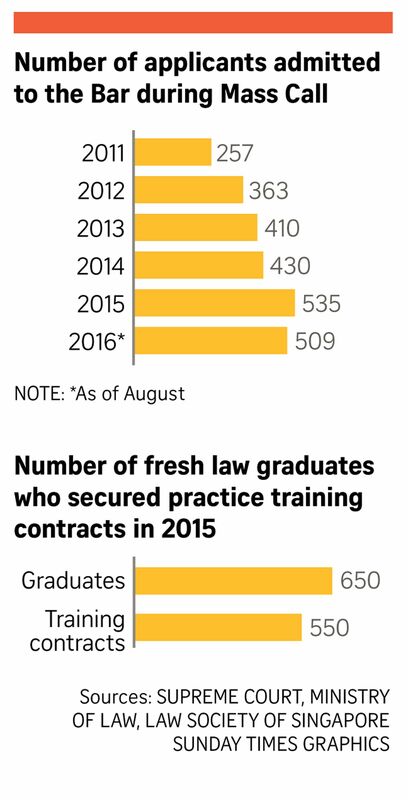 CJ Menon said this oversupply meant that of the 650 fresh law graduates here last year, around 100 of them did not receive training contracts. A training contract typically lasts six months and is a requirement for entry to the Bar. Anecdotally, some firms retain only about one-third or half of their original intake of trainees, he said. "While this might not be representative of the entire field, it at least provides a glimpse of how the situation can be grim for many aspiring lawyers," CJ Menon said in explaining the necessity to undertake the review of the entire training contract regime. The 14-member panel includes representatives from the Ministry of Law, corporate firms and the Attorney-General's Chambers. It will "actively seek to understand the struggles of aspiring lawyers" at the start and end of the training contract process. This includes how such contracts are offered and secured, and whether it is desirable and feasible to regulate such training contracts. "Ultimately, the objective of the study is to find ways to ensure a high degree of consistency and transparency in the applications process so that graduates coming out of law schools are afforded a fair opportunity to secure a training contract," said CJ Menon. The panel will also examine whether retention policies should be more structured and transparent. CJ Menon suggested this could be done by getting firms to make information on their retention criteria and rates available. He noted that recent years have seen steps taken to grow the pie for lawyers, such as the Singapore International Commercial Court. 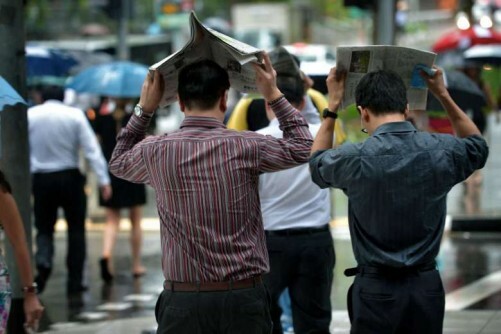 "Realistically speaking, it will take time for these continuing efforts to bear fruit and be felt on the ground," he said, especially when slower economic growth could well last till the end of the decade. "We should be prepared that the situation for fresh graduates and job seekers is likely to remain difficult before it gets better." Law Society president Thio Shen Yi, who will sit on the new committee, said it was too early to say what its members will agree on, but said that the review may result in a "complete relook" at how the sector operates. 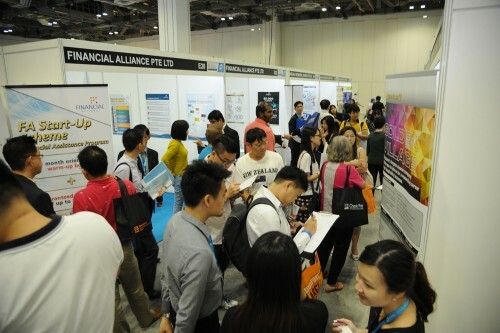 "What we can do is make sure there's more transparency so that those looking for training contracts will find the right sort of training contracts, and that those looking to do corporate law don't end up doing litigation or vice versa," he said. CJ Menon called for those who decide to read law to examine their motives if the issue of oversupply is to be meaningfully addressed. They must, he said, be driven not by the lure of profit but by the ideals of the profession - and a passion for "justice, fairness and service".